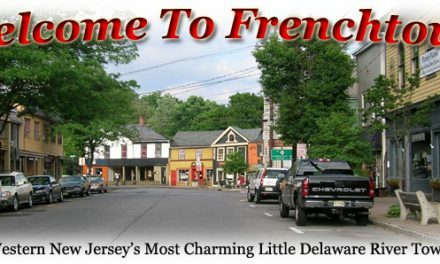 Election Day, Tuesday, Nov. 5, will be an historic one for our community and I urge you to make it to the polling place (Borough Hall) that day between 6 a.m. and 8 p.m.
~ For the first time, candidatates seeking seats on the Frenchtown Board of Education will appear on the same ballot with those seeking election to municipal, county, state and federal offices. ~ We have contested races for seats on the school board as well as for seats on Borough Council. ~ We also have a referendum on the ballot which asks whether the borough should institute an Open Space Tax. Incumbents Jodi DenBlyker and Jeanne Herb and newcomers Laura Einhorn and Jennifer Campbell vie for two three-year terms on the school board. Amy Musolino is unopposed for a one-year unexpired term. For Borough Council, incumbents Cathy Leach and Jack Opdyke and newcomer Geoff Stanley compete for two three-year terms. One word about the Borough Council race: the layout of the ballot suggests that Cathy and Jack are competing for one seat on Council and that Geoff is running unopposed for the other. Actually, all three candidates are competing for the same two seats. 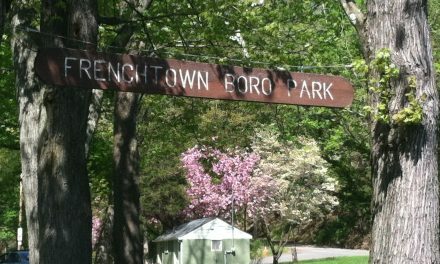 While the tax could be used at some time in the future to acquire new park land and to preserve historic borough buildings, the present need is to ensure proper stewardship of our existing parks. Borough Park desparately needs to be upgraded with new, safer playground equipment and landscaping, and has for decades. The bridge across the Nishisackawick Creek needs continual maintenance as does the nature trail it provides access to. 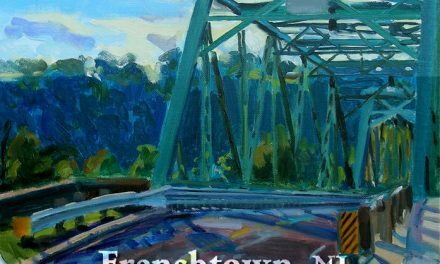 Graduate students in the sustaintable design program at Philadelphia University are developing a plan to upgrade that park based on the input of more than two dozen Frenchtown residents and business people. Similarly, Old Frenchtown Field could benefit from upgrades and equipment that would make it more useful for our school children and for families who live at that end of town. Moreover, these parks, as well as the recently acquired open space off Horseshoe Bend Road and the strip of riverbank below the bridge, require continual maintenance and stewardship to keep them open, clean and available for residents and visitors alike. And, obviously, when developer George Michael donates to the borough the riverbank property on Bridge Street north of the bridge, creation of that park for our community will require significant funds as well. The state now limits year-over-year increases to the municipal budget. That means that Borough Council faces an ongoing struggle to provide the services that define our quality of life. As money gets tighter and tighter, Council is forced to choose between things such as trash collection and park stewardship. One needs only to look at the swing sets without swings in Borough Park, the deteriorating sandbox, the older equipment that needs paint or repairs to know what tends to be set aside “for next year,” year after year. Make no mistake, this is a new tax, one added to already our over-burdened families and property owners. On the other hand, it’s not a particularly costly one. Our tax assessor figures that the owner of the average house in Frenchtown, one valued at $265.536, would have paid $53 for a 2-cent Open Space Tax in 2013. In exchange for that $53, the borough would raise $41,832 – dedicated to its parks. That amount is the upper limit. If Council were to set the Open Space Tax at one cent in 2014, the tax burden would be about half of $53. Without diminishing the fact that fifty bucks is fifty bucks more than we would have had to pay without the Open Space Tax, it’s a relatively small amount to ensure that our parks continue to be sources of pride and value to the community. Naturally, we would continue to seek outside funding and grants to defer the costs of such endeavors – as we do to help fund other needs in town. This year alone we’ve received about a quarter million dollars for road repair, emergency generators, our evolving recycling program and other things. Availability of those funds for parks would allow Borough Council to reduce or entirely eliminate the Open Space Tax in a given year. If you support this effort, vote YES on the Open Space Tax referendum, Municipal Public Question #1. If you oppose it, vote NO. Thank you, and I hope to see you soon.